Australia Zoo Wildlife Warriors take action to support conservation and defend our most threatened wildlife species and natural habitats. of koala habitat to deforestation. of saltwater crocodile population in northern Australia. Wildlife Warriors take action to support conservation and defend our most threatened wildlife species and natural habitats. Their conservation projects in Australia and abroad work to mitigate human-wildlife conflict, reduce threats caused by human-related activities and provide support to injured and endangered wildlife – from the individual animal to an entire species. As the human population grows and moves further into wild places, they’re placing more pressure on our natural world than ever before. Poaching, road traffic, domestic and introduced animals, habitat destruction and the illegal wildlife trade continue to push native species to the brink of extinction. With the support of our fellow Wildlife Warriors, we’re working to build a future for both wildlife and humanity. As the weather begins to warm up, the native Australian animals begin to move. They’re out and about looking for water or a friend for mating season and adolescents from last season become more confident in their exploring. During this period, if a mother koala is hit by a car or attacked by a domestic pet, orphaned joeys are sometimes left to fend for themselves. These joeys are often brought to the Australia Zoo Wildlife Hospital for care. 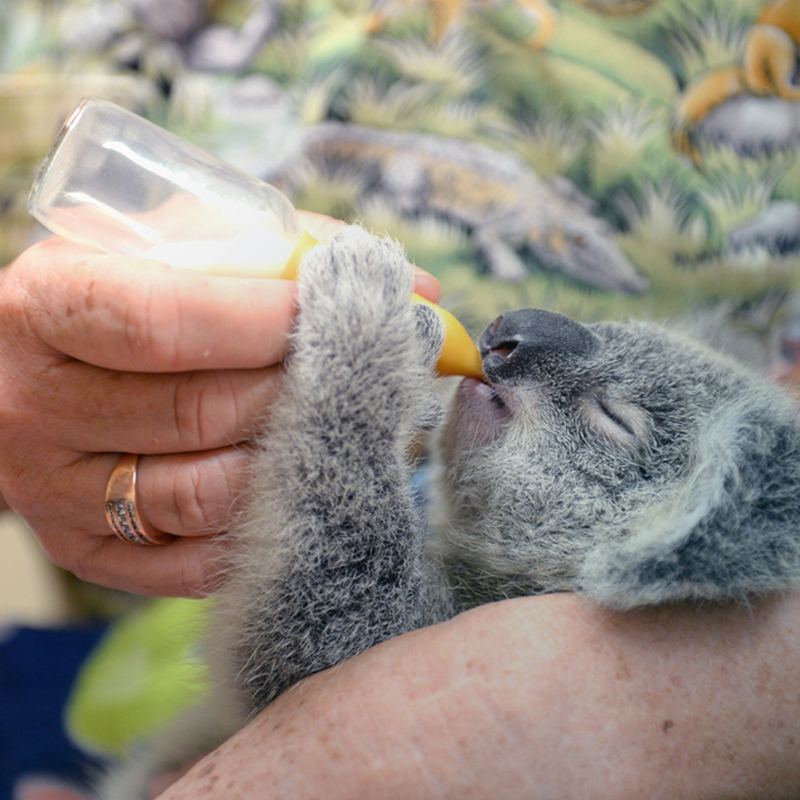 An orphaned koala joey will need regular milk formula every three to four hours, depending on their age, size and health. Waterways across northern Australia are home to one of the most mysterious and misunderstood predators in the world – the saltwater crocodile. 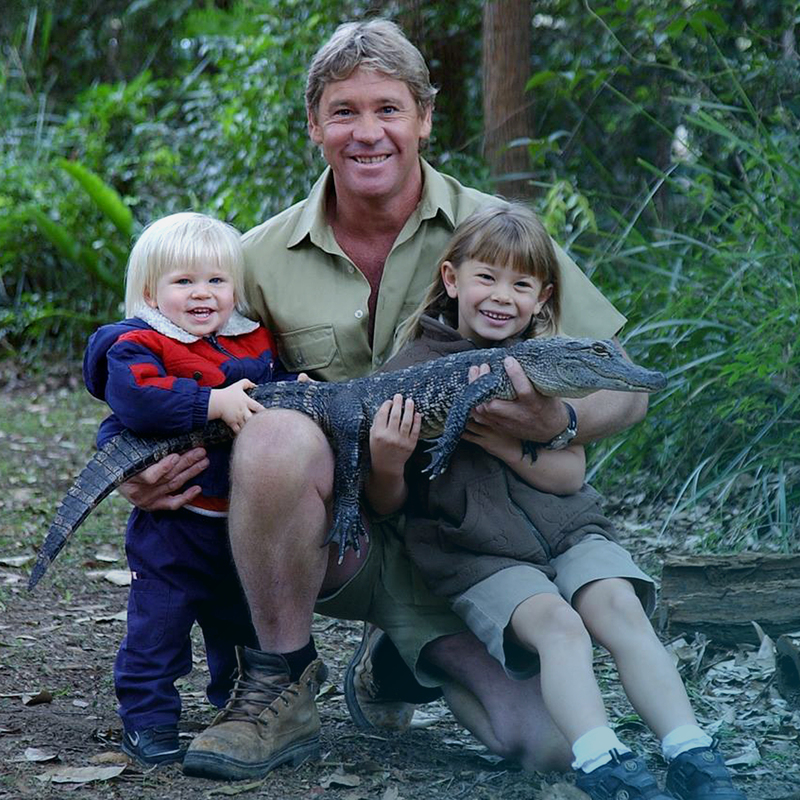 In 1998, Steve Irwin began researching these secretive reptiles with his own capture and release techniques. Today, this research project is tracking over 170 crocodiles on the Steve Irwin Wildlife Reserve, making it the largest and most successful of its kind in the world. The aim of the study is to provide insights into crocodile habitats and movement, to better understand how crocodiles and people can coexist. On 25 September 2015, world leaders convened to adopt the 17 Sustainable Development Goals (SDGs). They represent the global community’s next step in ending poverty, fighting inequality and injustice, and tackling climate change for the next 15 years. The projects from Australia Zoo Wildlife Warriors contribute to 2 of these goals. Click on the goals to find out more.